Straight up, Singapore is one of my favourite cities in the world. 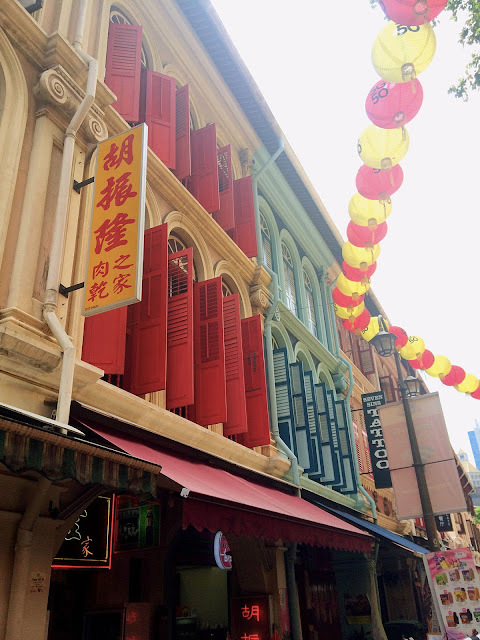 It's a crazy mix of different cultures - Chinese, Malay, Indian and colonial British influences can be seen in everything from the architecture to the food to the local language (Singlish). For Aussies, it's a great place to escape for a few days to rest, relax and reassure yourself that your credit card still works. Bring elasticated pants too because eating is a national sport. Read on for my Singapore recs! Merlion - The symbol of Singapore! It's touristy and cheesy but you've got to do it. It's located across the water from Marina Bay Sands and within spitting distance of the historical Fullerton Hotel. 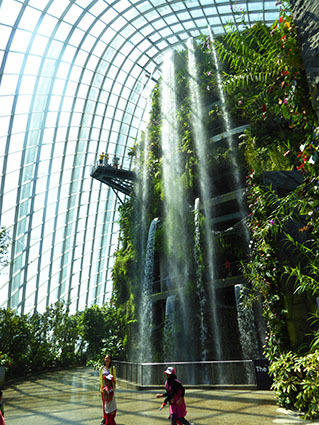 Gardens By The Bay - Check out the two massive, air conditioned (weird!) conservatories full of plants from all over the world. The Cloud Forest is especially gorgeous with the giant man made indoor waterfall. It'll cost you about 28 Singaporean clams to see both conservatories. Marina Bay Sands - The building is utterly iconic and the shopping here is pretty good too. Chinatown - If you want to pick up some cheap souvenirs, head to Chinatown and stock up. Try and get here around lunchtime and go to the Maxwell Road Hawker Centre for some cheap and tasty treats. Burgers at &Made - Currently located at Quayside Isle on Sentosa Cove, the burgers here are goddamn incredible. They're reopening on Orchard Rd again soon but in the meantime, the trek out is well worth it when you're rewarded with juicy burgers and fresh french fries. Ice Cream Sandwiches from any street vendor - You'll find vendors all over the city hawking cold drinks and awesome ice cream sandwiches. As someone of the Asian persuasion, flavours like purple yam and sweetcorn are familiar and delicious so I urge you to try these out, sandwiched between two wafers or snuggled in a slice of technicolour bread. Common Man Coffee Roasters - Located in the Clarke Quay area, this place does an excellent brunch and some very strong coffee if you feel the need for a pick me up. It's run by a former Perth local and has a strong expat clientele. Tiong Bahru Bakery - There are a few branches scattered across Singapore; for authenticity's sake I went to the one in Tiong Bahru and was not disappointed at all. Insanely buttery, delicious pastries are all here waiting for you, ready to be washed down with some very decent coffee. Universal Studios Sentosa - Don't be too cool for school; come here and be a kid again! Eat some junk and try not to lose the contents of your stomach on the rollercoaster! Shopping on Orchard Road - Orchard Rd is famous for a reason; if you have some cash to drop, you'll no doubt be able to do so here! Brands both high and low are all on this long street akin to Paris' Champs Elysees and NYC's Fifth Avenue. Haji Lane/Bugis - This narrow lane is a multicoloured hipster haven. There's no point in going in the morning; the place only comes alive in the late afternoon. Eat at a Hawker Centre - For less than SGD$20, two people can eat like royalty! Each stall specialises in 2 or 3 items so you can be sure that you're getting the good stuff. We ate at Maxwell Hawker Centre in Chinatown and Newton Food Centre, just off Scotts Rd. Taxis are pretty cheap and are super convenient. We also used Ubers but beware of the surge pricing as I think Ubers aren't as prevalent in Singapore as they are in other cities. The MRT is also great but just make sure you don't have to walk forever to get to where you need to be. Singapore is based pretty much smack bang on the equator so it's super hot and humid here. Leave the blowdries at home, embrace the frizz and just accept that your makeup will melt. Beware the added GST and Service Charges in restaurants. This can add up to 17% - 20% to the prices on the menu. Ouch! Singapore is a walking city so wear comfy shoes! I wore sandals that were more style over substance and boy did I pay for it later. You can get some great deals on hotels since there's so much competition here but don't discount Airbnb as a viable option. We stayed at a great place about 10 minutes walk away from Orchard Road and the location meant that getting around by taxi wasn't hugely expensive. That being said, our location did mean that the cheaper MRT was more inconvenient so make sure to factor that into your budget!